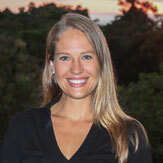 The abundance of activities, services and incredible bio-diversity offered within Costa Rica is a traveler’s dream. In a country where the environment is actively protected, eco-tourism draws travelers from all over the word. 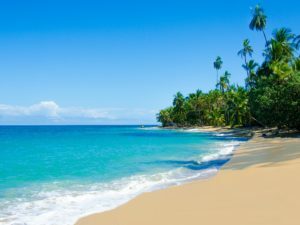 Whether Pacific or Caribbean, North or South, Costa Rica offers the opportunity to soak up the hot sun of the beach or retreat into the cool mountains and cloud forests. Here you can worship the sun, sand and surf or explore magnificent volcanoes, bathe in hot springs and indulge in volcanic mud spa treatments. No matter where you are, you will find exotic wildlife and natural beauty. Getting out on the water is a must, with surfing, snorkeling, jet skiing, swimming, world class sport fishing, paddle boarding, waterfall jumping, breathtaking scuba diving locations, white water rafting, sea and mangrove kayaking, catamaran tours, private boat rental and parasailing to choose from. If you prefer to keep your feet dry, don’t miss out on horseback riding, canopy zip-line tours, National Park tours such as the internationally recognized Manuel Antonio National Park, golf, luxurious spa treatments, ATV tours, rappelling, or anything else under the sun. Costa Rica First Class Villas is based on the Central Pacific Coast of Costa Rica, in the area of Manuel Antonio and Quepos. Home to the best beaches in Central America (Trip Advisor) and one of the most Beautiful National Parks in the World (Forbes), the region is famously beautiful and easily accessible from the San Jose International Airport, either by flight (25 minutes) or ground transportation (2.5 hours). Our First Class Villas concierge will greet you at your villa upon check-in and our friendly travel team are on hand during your stay to ensure your utmost in comfort and enjoyment. All of our Luxury Rentals Costa Rica have wonderful features to be enjoyed and are centrally located for guests to get out-and-about during the day, experiencing the highlights of the area and participate in unforgettable activities! Aptly named “Mirador” for the homes vantage point, from here you have an uninterrupted look-out of protected canopy spanning from behind the Manuel Antonio National Park towards the south, all the way to the mountain ranges on the horizon. This ideal vista is located a short drive from Central Manuel Antonio, where you can access shops, restaurants, and the main roads that lead to the Manuel Antonio National Park and beaches, downtown Quepos, and the Marina Pez Vela. This premium Tulemar Villa has two bedrooms (each with 2 queen size beds) and two bathrooms and will comfortably sleep 8 people. It is located in the Buena Vista Villas portion of the gated Tulemar Resort in Manuel Antonio. As beachfront as it gets, at Villa Encantada you can stroll from the living room, cross the beautiful garden patio (where time can be spent leisurely barbequing by the fountain, reading on the chaise lounges and sun beds), cruise out the back gate and plop yourself down right on the beach. The proximity to the ocean ensures that Villa Encantada is serenaded night and day by the sound of the waves. Relaxation upon arrival is instantaneous! There is no better place than Villa Iguana to be looking out across the ocean from the upper deck. Come and experience the best of the Pacific Coast in this luxury villa in Jaco Beach. Your vacation of a lifetime starts here. Rejuvenate your senses in this unique beach front property.